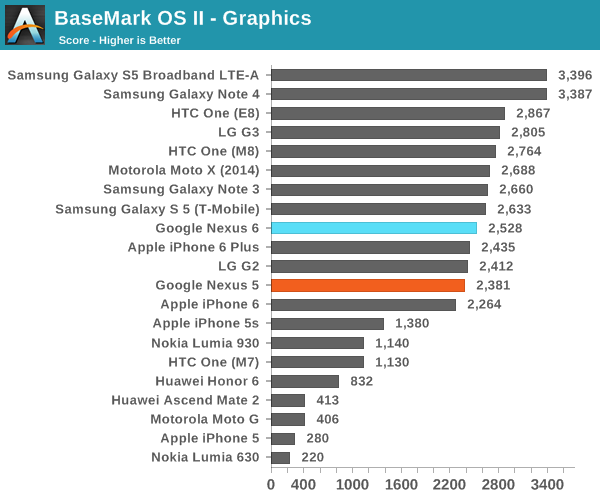 Much like other recent Android flagship devices, the Nexus 6 uses Qualcomm's Snapdragon 805 APQ8084. 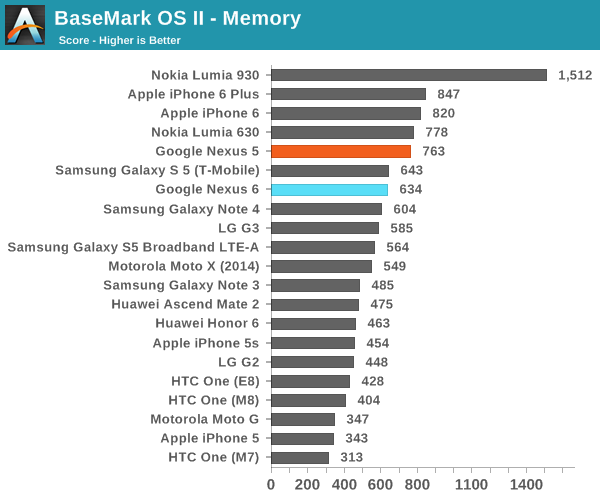 It's built on TSMC's 28nm HPm process, and it will be Qualcomm's final chip based on their Krait architecture. 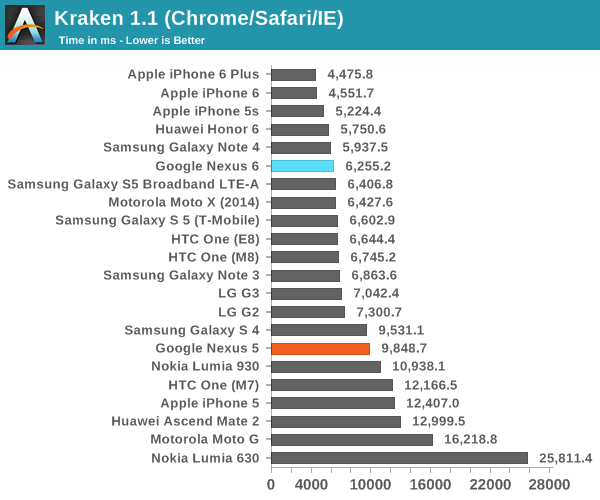 Although the use of a Krait CPU unfortunately means we don't get to take advantage of the 64-bit support built into Android Lollipop, it's still one of the fastest chips you'll find in an Android device today and will remain so until the first half of 2015. 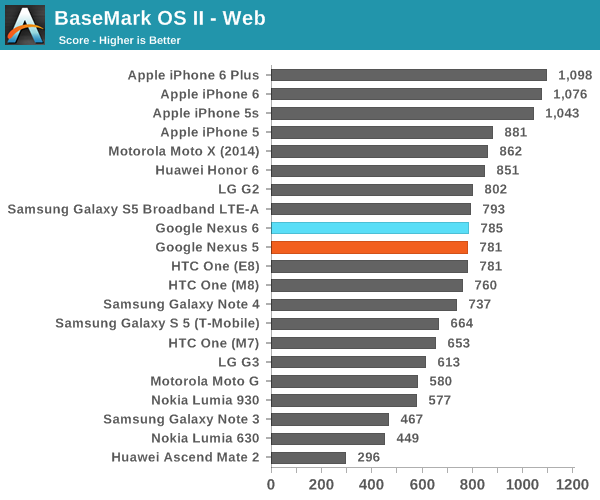 In order to measure CPU performance with some degree of comparability between different platforms, we turn to our typical suite of browser benchmarks, along with BaseMark OS II. 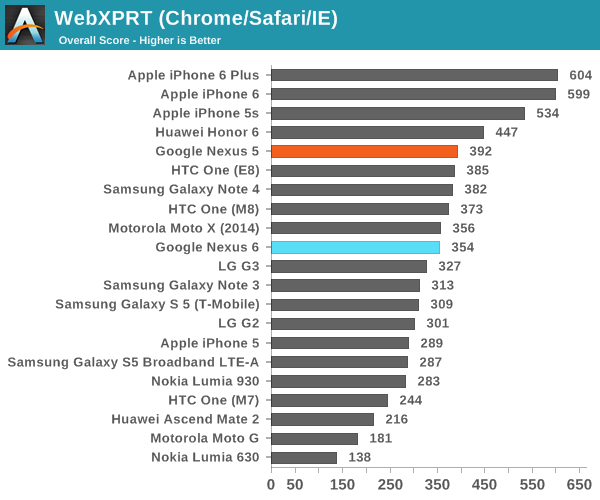 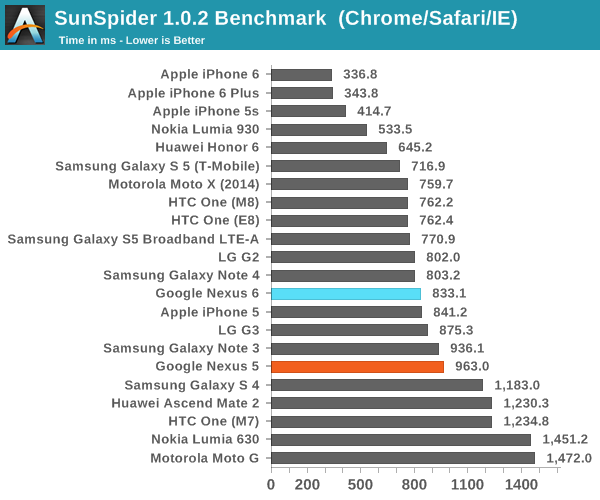 As you can see, the Nexus 6 performs how you would expect a Snapdragon 805 device to perform. 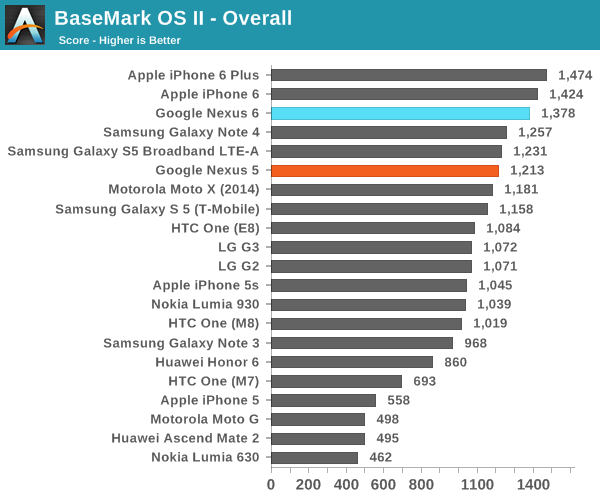 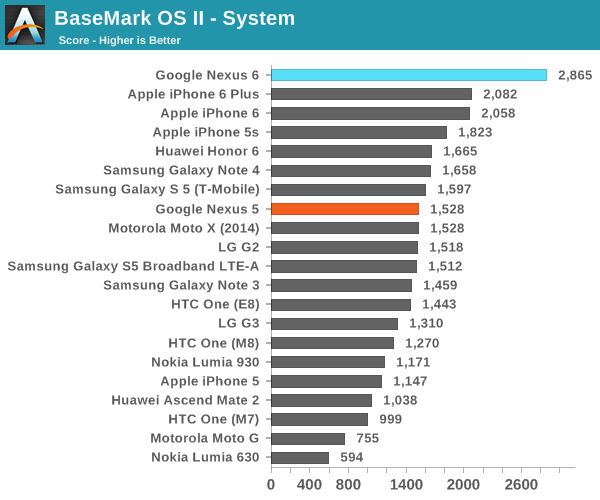 All of its scores are similar to the Galaxy Note 4 and Galaxy S5 LTE-A, with the exception of the extremely high BaseMark OS II Graphics score which I believe is some sort of error relating to the compatibility of the benchmark with Android Lollipop.